September is Pride Month in Brisbane and an opportunity to celebrate Lesbian, Gay, Bi-sexual, Transgender, Intersex and Queer culture and community at QUT. 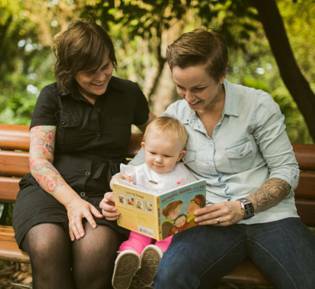 To help celebrate, QUT Library is hosting Rainbow Families Storytime, an event for QUT families, students and staff. Rainbow Families Storytime is a QUT Library and Rainbow Families Queensland presentation about the importance of inclusive practice. Join us for children’s stories about LGBTIQ families read by students from the School of Early Childhood. There will also be kid’s activities, morning tea and balloons! To be part of the free festivities Register now! Everyone is welcome! So feel free to invite your friends and family. We look forward to seeing you there!